Senator Youri Latortue is chairing a Senate committee with a focus is Haiti’s utilization of Petrocaribe funds. As a part of his study, he has asked the various ex-Prime Ministers to give their accounting of Petrocaribe funding, while in office. Senator Youri Latortue says it is time for the Haitian people to know what was done with Petrocaribe funds absorbed by their government. Ex-Prime Minister Gary Connile completed his testimony at an earlier date. Evans Paul and Max Bellerive have yet to participate. 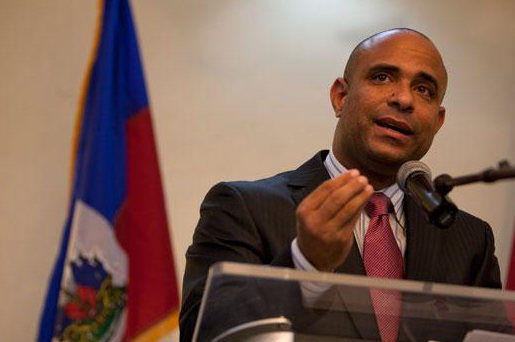 Today ex-Prime Minister Laurent Lamothe summarized his term in office, and answered questions about his team’s utilization of Petrocaribe capital. Lamothe was the longest serving Prime Minister in Haitian history, taking office after serving as President Martelly’s Minister of Foreign Affairs. An earlier audit, by the Venezuelan authority, showed the Martelly/Lamothe government’s participation as the most effective and financially responsible of any nation receiving assistance from the pool of funding. As a contrast, it will be interesting to watch Max Bellerive’s Senate appearance. Will the questioning be limited to Petrocaribe, or will the commission go for a more wide-ranging menu? During the transition between Preval and Martelly presidencies he signed something like $338,000,000 in unauthorized contracts involving earthquake reconstruction. Some suggest he skimmed $33,000,000 for himself. Under Preval Bellerive signed off on something like $600,000,000 in Petrocaribe funding for SOGENER, the electricity group involving Preval’s wife Babette. International authorities question the high per kilowatt hour charges of Sogener as being exorbitant by international standards. Is the Latortue commission limited to ex-Prime Ministers? It would be interesting to have Interim President Privert appear. After all, Privert was known as “Mr. Petro Caribe” under the Preval government when he personally coordinated the Preval’s team involvement with Petrocaribe. He is personally responsible for many of the crimes that will have a long-term effect on Haiti’s financial obligations, under the plan. A striking contrast to Laurent Lamothe who served some 31 months as Prime Minister, the longest of any Prime Minister in Haiti’s short democratic experience. An innovative businessman, Lamothe brought a depth of experience, to his office, that sets the standard for our future.